The first set of EFT training videos were recorded by Gary Craig over 20 years ago. 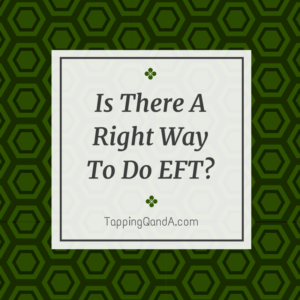 Gary developed EFT after he trained with Roger Callahan in the tapping protocol Thought Field Therapy, which was developed 10 years prior to that. In the last 30 years there have been many names for and many presentations of tapping. This week I have a conversation with Gwyneth Moss about whether or not there are right or wrong ways to do tapping. Brilliant. I love the analogies for explaining energy movement in the body. Very helpful. Excellent podcast! Thank you Gene and Gwyneth.